Stanley Kowalski goes through Blanche DuBois' trunk in a Streetcar Named Desire. Vivian Leigh played Blanche and Marlon Brando played Stanley. Today I muse joyfully on a A Streetcar Named Desire by Tennessee Williams. If you’ve never watched the play, seen the movie, read the script, well, friends, it’s time. Earlier this week I attended a workshop about writing. During one of the breaks I meandered around the building and found what I consider to be the greatest of all treasures: free books. At the Rochester Recreation Center here in New Hampshire there are a plethora of free books – selections for children, adults, teens, books on spirituality, plumbing, poetry. And when I spotted A Streetcar Named Desire, I picked it up and have been reading it ever since. Brute. That’s the perfect word to describe Stanley. He’s so vile, so cruel. To read his lines, his “Stell-lahhhhh!” is to be up close and personal with such brilliant writing, a creation of a persona so dark is, well, the epitome of stellar, STELL-AHHHHH, writing. When I ask my high school students what they are reading in their classes, I am entirely jealous they spend time with such glorious reads – To Kill a Mockingbird, Night, The Heart is a Lonely Hunter. I forget how glorious it is to spend time decoding lines, learning about authors, spending time with such great writing. A Streetcar Named Desire reminds me of that, Tennessee Williams’ brilliance – I’d forgotten. What a lovely reminder to go back to quality, to forgo the tweets and posts. I muse joyfully that you may enjoy that pleasure today in a bin of free books and if you spot A Streetcar Named Desire – do scoop it up. 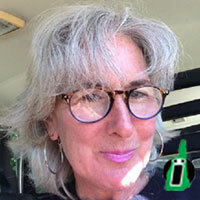 Susan Dromey Heeter is a writer from Dover who recently let her hair go au natural white. Writing has been her passion since her English majoring days at the University of Massachusetts in Amherst. Dromey Heeter has lived in The Netherlands, Alaska and currently basks in all things New England, including the frigid winters. An avid swimmer, Dromey Heeter’s great passion is to bring back body surfing as most children have no idea how to ride waves without ridiculous boogie boards.